Photographers, cinematographers and videographers need to be able to perfectly control light for the ideal level of exposure on set or on location. 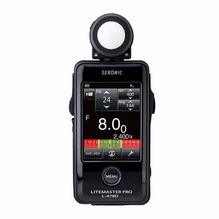 BarnDoor Lighting's large selection of professional, high-quality light meters by Sekonic, Gossen and Spectra can help you save time and money by achieving the perfect lighting while shooting rather than in post-production. 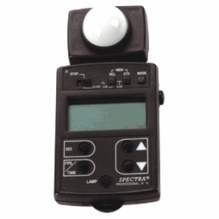 These pro light meters will read incident and reflected light and instantly calculate the f/spot difference, contrast ratio and average of any lighting situation. 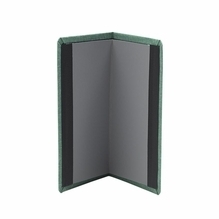 We offer only trusted, innovative styles by top manufacturers. 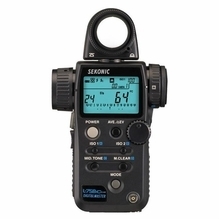 Check out our huge selection of Sekonic light meters if you want a touch-screen light meter that's ideal for both still and motion picture storytellers. 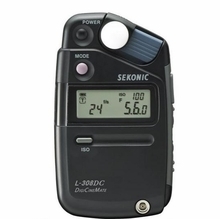 These meters have excellent features such as memory mode for recording your measurements and large, bright viewfinders that help you make the right exposure decisions from the eye piece. Many have all-weather designs for outdoor shoots. BarnDoor Lighting is happy to help you find the right meter for your unique needs. Contact us today at 1-888-276-3667 or info@barndoorlighting.com.